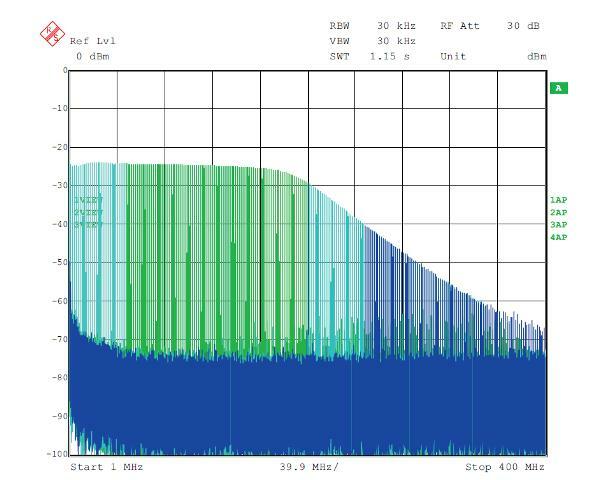 This design shows how to use an active interface with the current sink output of the DAC5682Z - typical applications for this include front ends for arbitrary waveform generators. 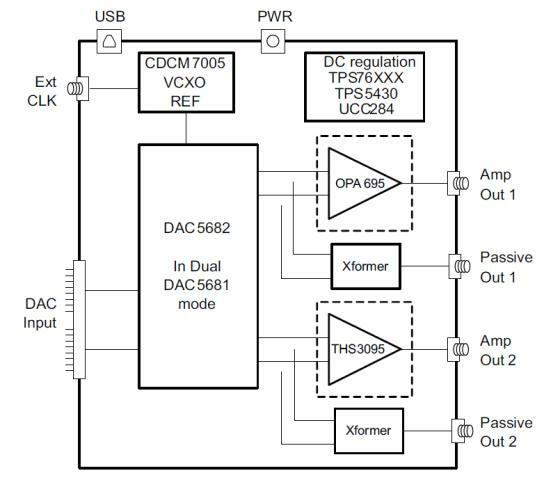 The EVM includes the DAC5682Z for digital-to-analog conversion, an OPA695 to demonstrate an active interface implementation using a wide bandwidth operational amplifier and a THS3091 and THS3095 to showcase an operational amplifier with large voltage swing. Also included on board are a CDCM7005, VCXO and Reference for clock generation, and linear regulators for voltage regulation. 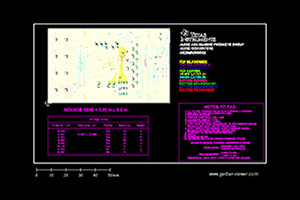 Communication to the EVM is accomplished via a USB interface and GUI software.